What is the purpose of the product number? 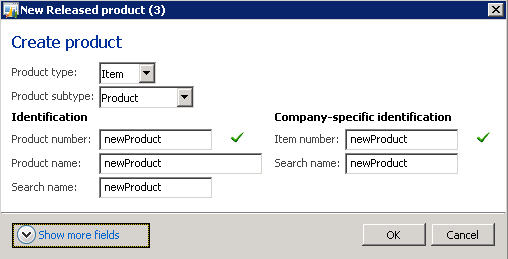 This is a common question since the product number is a new concept in Dynamics AX 2012. The main purpose is to have a single, unified identification of a product throughout the entire organization. In addition to the product number you have a legal entity-specific item number. The item number supports the need to be able to identify products based on numbers that make sense to users within a legal entity. In this post we will describe the purpose and the use of product numbers and item numbers. 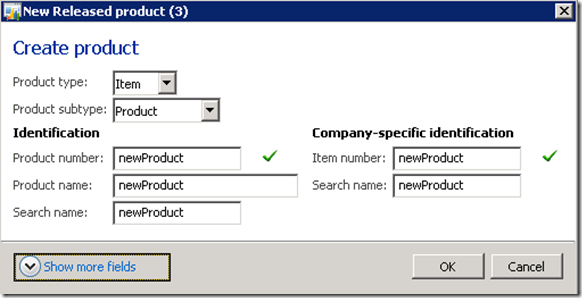 The new Product information management module in Dynamics AX 2012 allows users to create and manage shared product definition data in a centralized and consistent way. For companies that run a business across multiple legal entities, the concept of shared products can be a help to manage product master data and establish company-wide data governance processes. For example, consider a company that wants to ensure that the same product data is consistent across different manufacturing plants or retail stores. The product number is the main product identification (ID) in the system. It helps users to identify or to search for the same product instance across the entire organizational structure. The product number serves as a common reference for company-wide operational and reporting purposes. In Dynamics AX 2012, a product has to be released to a legal entity before it can be included on a transaction, line or before orders can be created against the product. The release process allows users to control which products become released products in which legal entities. The item number (or item ID) is the legal entity-specific identification of the released product. When a product is released to a legal entity, the item number is aligned with the product number, unless a number sequence exists for the item number in the legal entity. The system does not validate whether the values are identical or not. So in cases where a specific item number is required in order to identify products within an organization, the item number can be renamed. For example, some manufacturing companies include the unit of measure in the legal entity-specific item number. In cases where items are consolidated between a legal entity and an acquired organization, it would also be necessary to rename the item number in the legal entity. For intercompany chains and for consolidated reporting purposes the system always uses a product reference. The system does not take any dependency on the legal entity-specific item numbers. Instead, a shared product reference is used to map intercompany demand and supply during master scheduling or to establish the relationship between the intercompany sales and purchase orders. Please note that in previous versions of Dynamics AX, the system uses the concept of a company item to allow for intercompany trade between two parties. All items in one company have to be mapped manually to every item in the other company before the intercompany order can be created. With Dynamics AX 2012 there is no longer a need for manual mapping. As long as a product is released to both companies, all intercompany chains can operate smoothly. As a general guideline, we recommend that you avoid using the item number for any purposes that are related to intercompany trade. Instead, aim to use the product number for any data consolidation across multiple legal entities. Please note that in previous versions of Dynamics AX, the system uses the item number as the main reference for entry of orders such as sales orders and production orders. The system also uses the item number to identify inventory transactions. This is unchanged in Dynamics AX 2012.